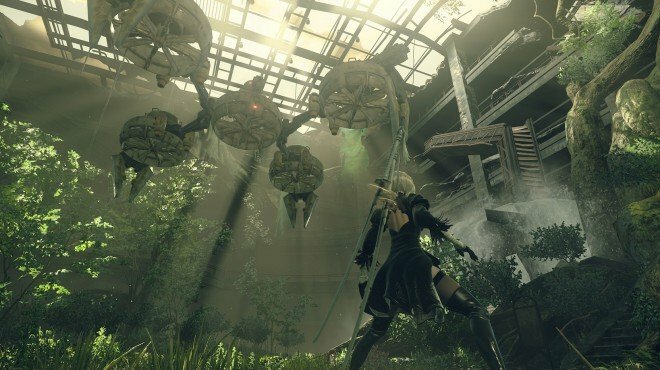 Camp Development is a Side Quest in NieR: Automata. "Anemone has asked for help reclaiming the forest. Destroy the enemies at the intended camp site." "Tell Anemone that the enemies have been vanquished"
"Peace has returned to the forest, and the camp has been safely established"
Return to Anemone to give her the good news. This quest is obtained by speaking to Anemone after completing The Forest Kingdom.You must first have access to the back area of the resistance camp, which is obtained in The Manager's Request. Return to the Resistance Camp to complete the quest.